Effective, quality entrance matting at every local commercial doorway – and specialty flooring and building products within. Source Floor & Specialties helps commercial property managers deliver top value to their clients and increase tenant satisfaction. We know commercial flooring – and we know how important it is for your facility to make a good first impression. 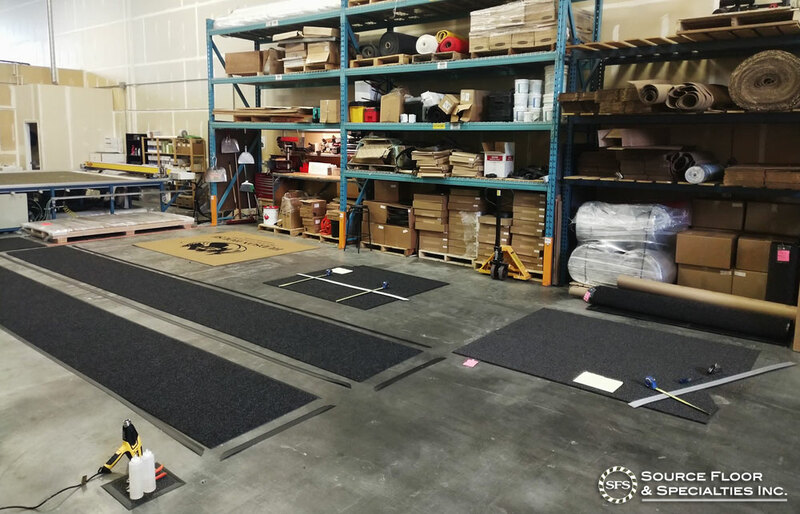 Source Floor supplies and installs custom high-performance entrance matting systems and the floors that go underneath them – and we know how to make them work in tandem. We help owners, facility administrators, and property managers maintain a first-class appearance in their property portfolios. We recognize that your facility’s condition is a direct reflection on you – and we’re here to make you look great! We’re a “boutique”, not a “big box” kind of company; we specialize in high quality, custom-tailored solutions to your commercial building challenges – from the threshold to the top floor. Every one of our entrance mats are custom-made to order right here in our shop in Port Coquitlam, BC – including our inlaid logo mats! Not sure of the difference between inlaid and printed logo mats? Click here to find out! Entrance matting is the first thing you touch when you walk through a commercial doorway – or at least it ought to be! Effective, quality entrance matting has a huge impact on people’s first impressions of a building, yet it’s so often overlooked. An entrance mat built around true performance and custom fit can make your building’s lobby look and feel so much better…and that’s where we come in. We can help you banish those floppy, sloppy, ugly and ineffective rental mats for good! 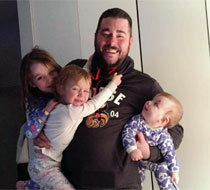 Our company values focus on building long-term, lasting relationships with our clients. We believe that our involvement doesn’t end when the last carpet seam is glued or the last mat is laid – we’re here to make you (and your building!) look good for the long haul. We’re not “just a flooring contractor” – we want to be your entrance matting, commercial flooring, and specialty product solution partner. 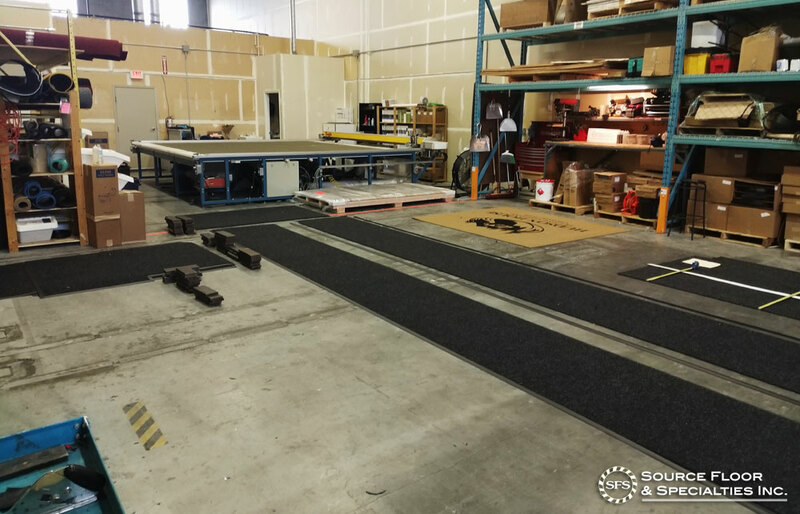 All our custom entrance matting is made right here in Port Coquitlam, BC! 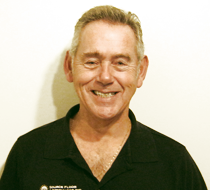 Lance is our resident expert in full-coverage flooring solutions, offering a wealth of knowledge gained over 40 years of experience in every aspect of the floorcovering industry from installation, estimating, and sales. 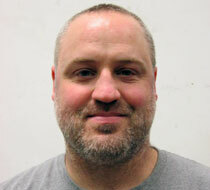 Derek brings nearly ten years of of experience in commercial floorcovering estimating, sales, and installation. Ross leverages his 18+ years of experience in various project and program management to help your custom entrance matting solution become a reality! 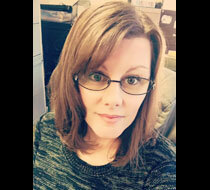 Crystal’s 18+ years specifically in the entrance matting industry have well-qualified her as an expert on all things matting! 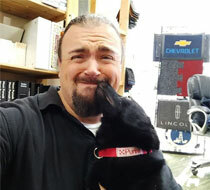 Crystal is responsible for inside sales and keeping things running smoothly. 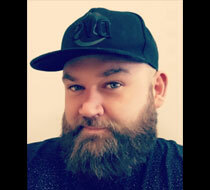 Mike leads our production team with over 7 years of operations and staff management, and brings a wealth of experience handling specialty and custom production work. Terrence is an essential part of our production team, bringing years of experience in detail-oriented custom assembly and manufacturing work. 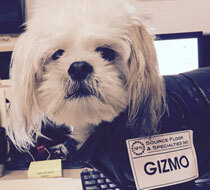 Gizmo is responsible for morale and keeps our production staff on task!